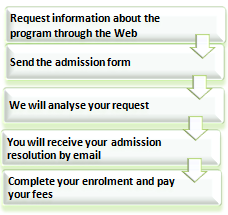 The course materials are available in (or Oceanía Océanie). 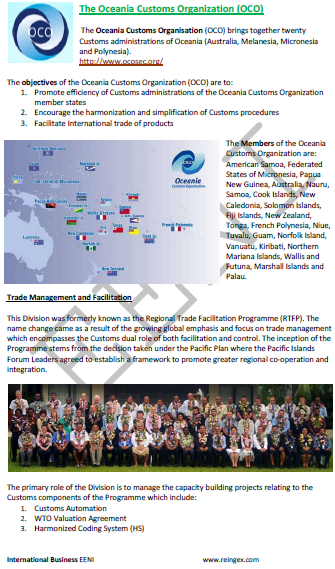 Course intended for all those wanting to specialise in the markets of Oceania (Australia, New Zealand, Papua). 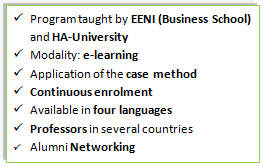 The Online Course “Business in Oceania” contains exercises that are evaluated, which the student must work out and pass to obtain the diploma of the course: “Doing Business in Oceania” issued by EENI Business School & HA Independent University. 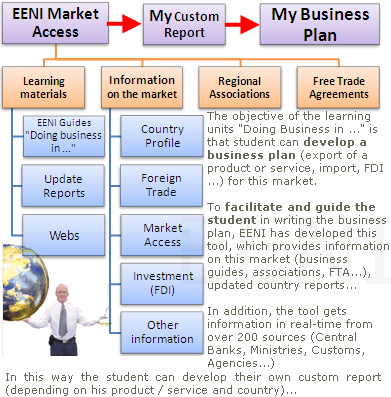 Students who have taken this course (Doing Business in Oceania) can validate and register for a Bachelor of Science, Master or Doctorate at EENI Business School & HA University. 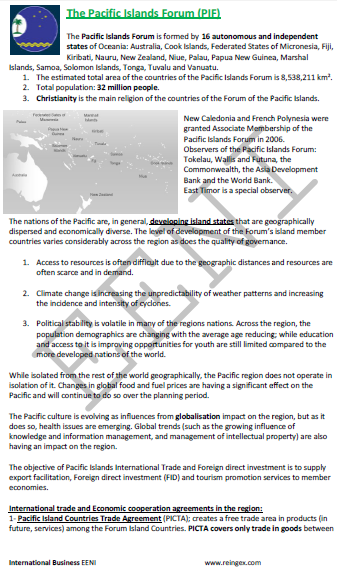 5- Economic Profile of the islands (countries and states) of Oceania (1 ECTS). 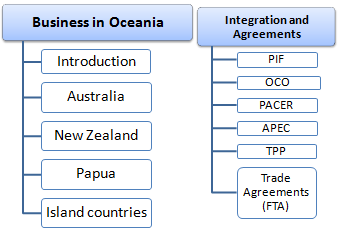 6- Economic Integration in Oceania. 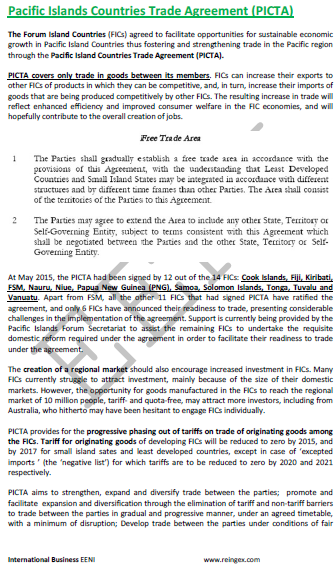 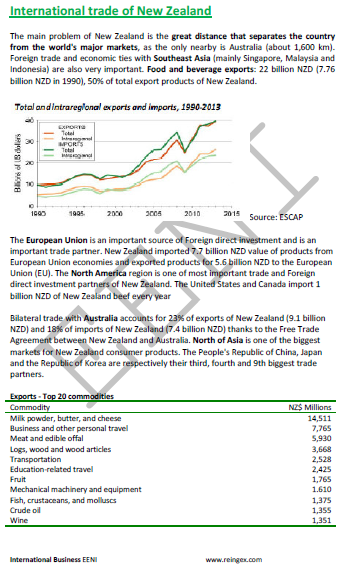 7- Free Trade Agreements (FTAs) related to Oceania. 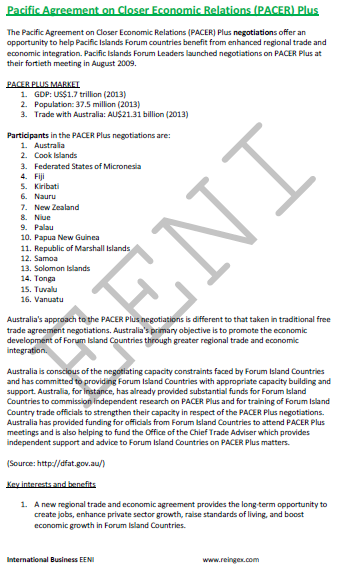 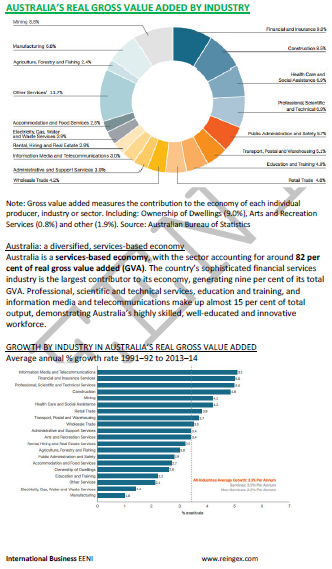 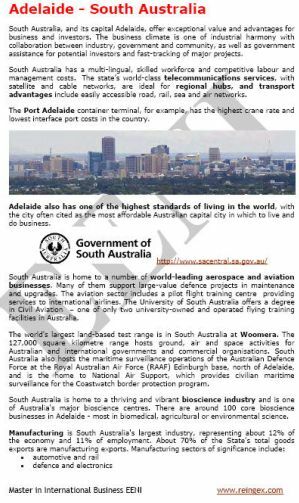 8- Other Economic Organisations related to countries analysed on the course Business in Oceania (Summary).